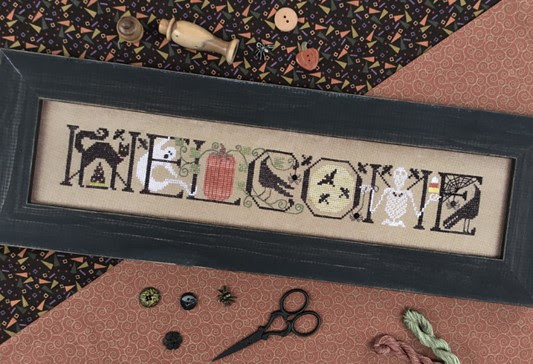 The calendar shows October, so it must be time for a TRICK OR TREAT SALE. Come by on Friday, October 27, or Saturday, October 28. 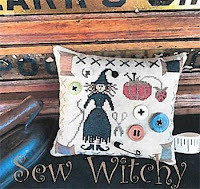 Make your selections, draw a ticket from our pumpkin and enjoy a surprise discount on your entire purchase. 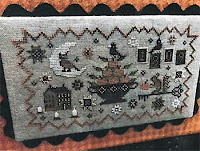 (Spirit of Christmas Mystery Sampler not included) That’s 10-5:30 on October 27 and 10-2 on October 28. 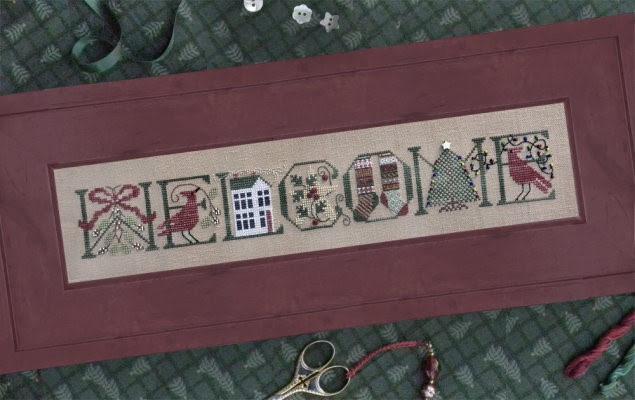 Please mark your calendar: October 31 is the last day to bring Christmas finishing to be delivered before the holiday. 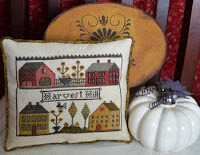 Here are some of the new fun things filling our tables and racks for autumn and holiday stitching. 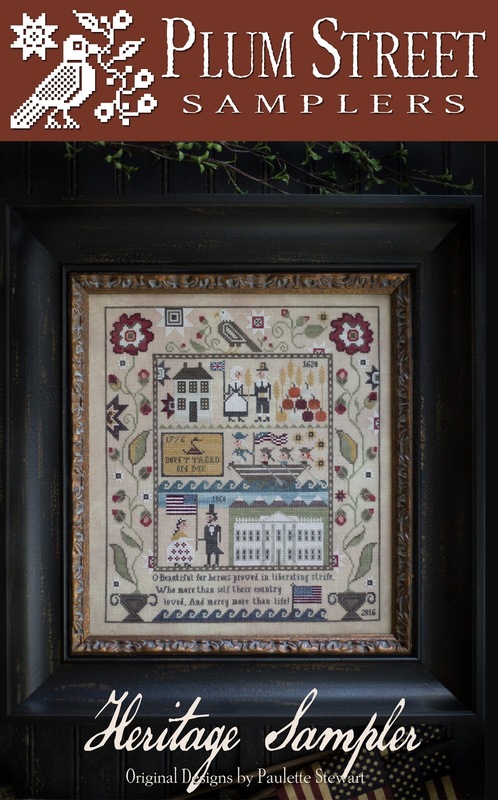 Plum Street Samplers has a Heritage Sampler which is designed to honor our American Flag and its history. 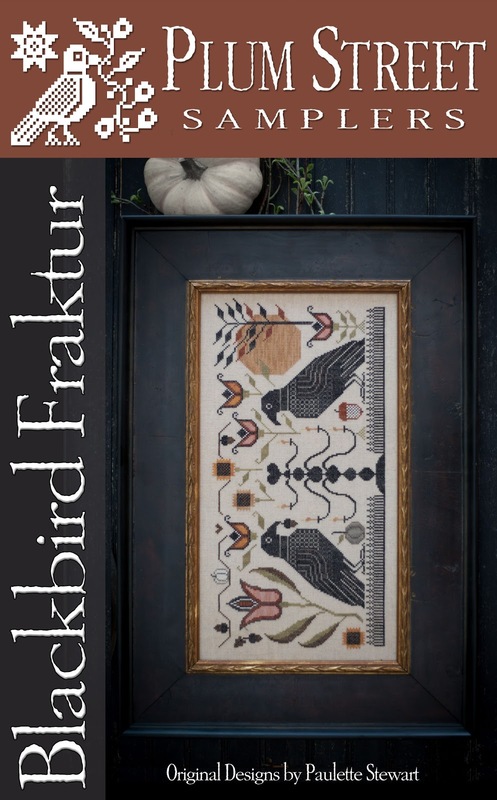 Blackbird Fraktur, featuring two large birds: a perfect companion for the existing Autumn Fraktur. 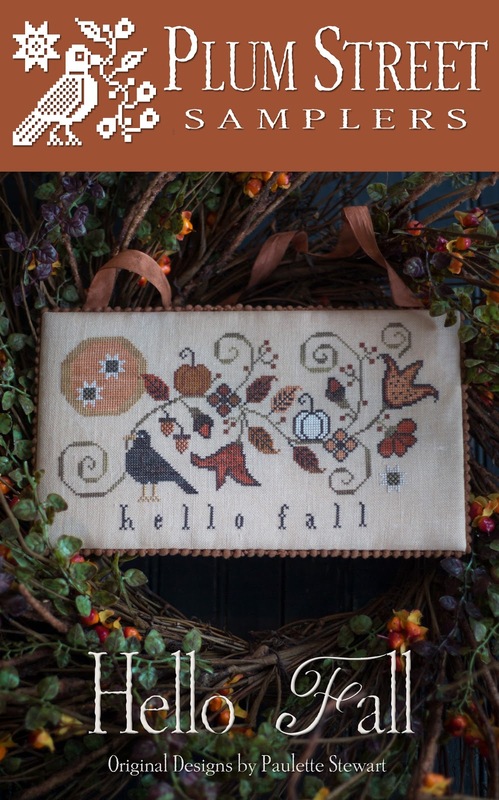 Hello Fall is the third release in the Seasonal Hello Series. 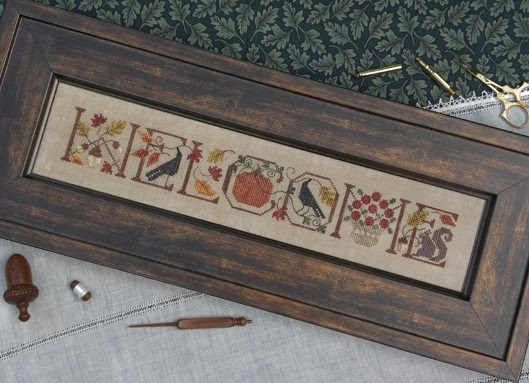 The autumn colors in this design are lovely. Friends of the Hart is a beautiful deer surrounded by foliage, florals and little forest friends. 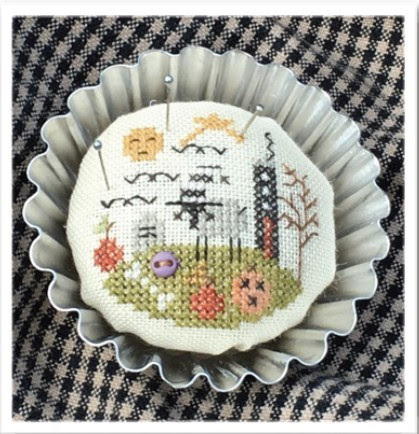 Paulette has wonderful designs and has outdone herself this time. Check them out. 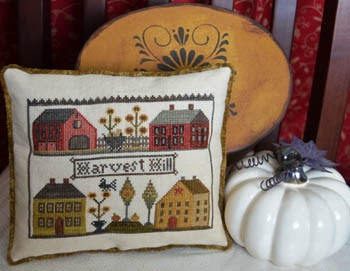 Harvest Hill, a quaint colonial village design from Abby Rose, will get you in the mood for fall. 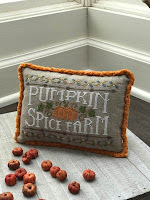 Pumpkin Spice Farm, a Hands On Design project, will certainly put you on the trail of the aroma of pumpkin goodies. From The Scarlett House comes Sew Witchy and Fall Frolic, two small Halloween projects covering a little witch, moon, tombstones and more. 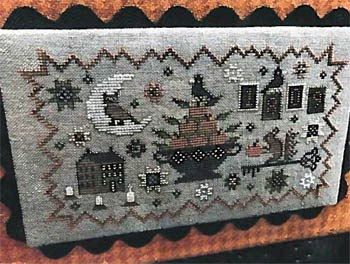 Photos of most designs mentioned here are included in this message. 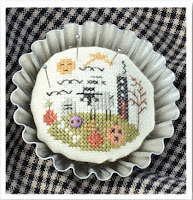 Little Black House Tart Tin kit is a quick and darling stitch from Shepherd’s Bush. Kit includes tin. 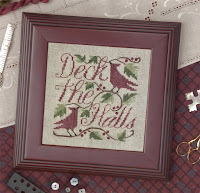 A beautiful set of seasonal designs has arrived from The Drawn Thread. We have Welcome Autumn, Welcome Halloween, Welcome Christmas. 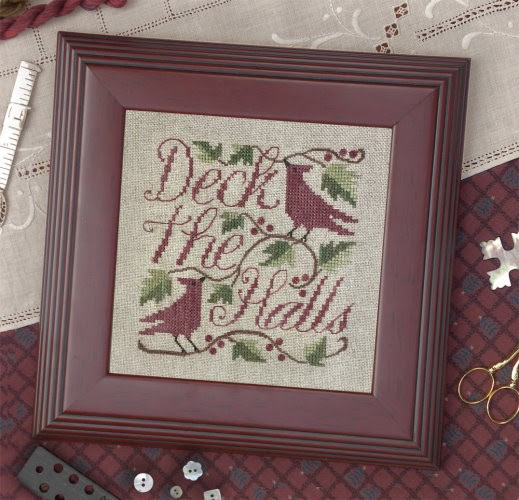 Also included with the group is Deck The Halls, featuring two charming little cardinals. Watch for more Christmas additions soon. 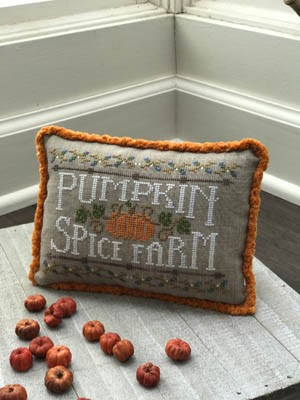 We hope everyone is enjoying our beautiful fall season and taking some time to relax with a little stitching project or two.